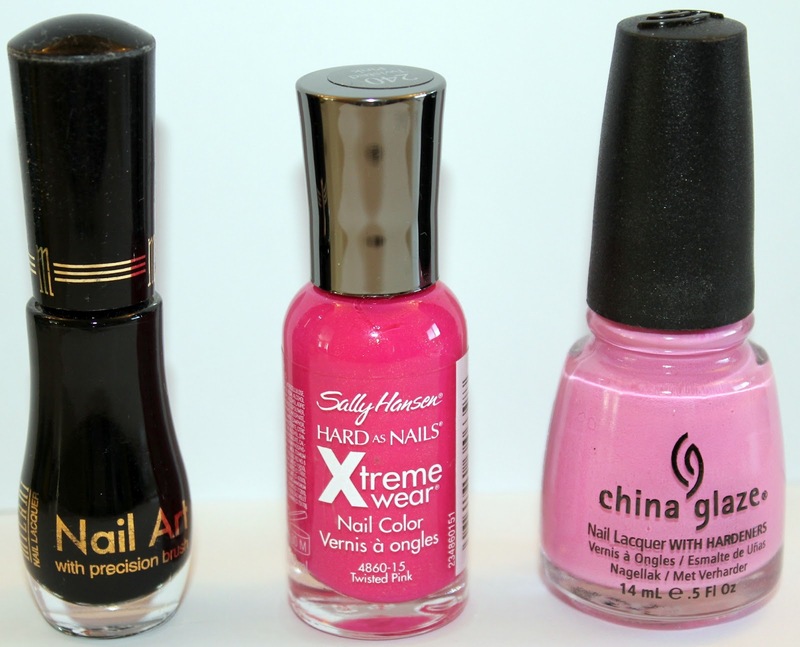 need some inspiration for a summer mani or pedi? 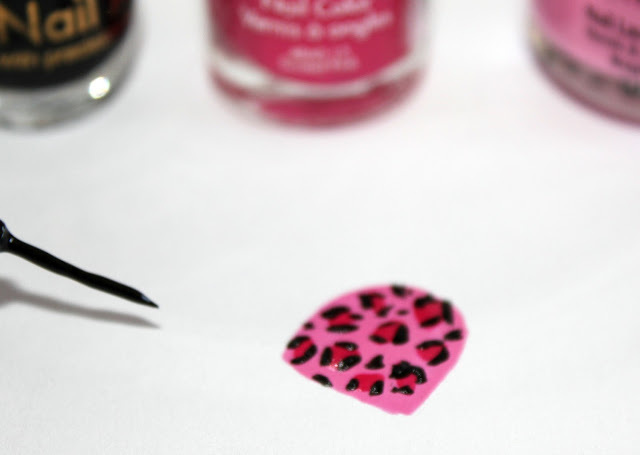 a pink leopard print would look great! not sure about doing this on your own? well, believe it or not, the messier the better when it comes to leopard print. to begin, gather your polish colors. i am using a light pink, bright pink, and black, however, any polish colors will work. if you don't own black, just use your darkest blue, red, etc. begin by painting nail your base color. once dry, add your dots. precision is NOT necessary. 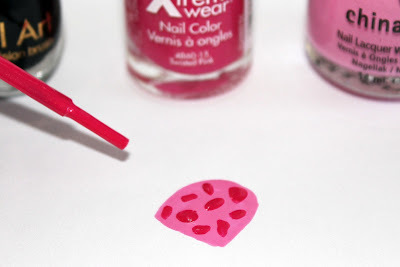 just dab several dots all over your nail. the messier your dots, the more realistic the leopard print appears. follow by adding your darkest shade (in this case, black) around your dots. i am using a nail art polish but a toothpick would work just as effectively. again, don't worry about keeping it neat. there is no correct shape or size for leopard print. this is definitely a more time consuming technique, but worth it if you like freedom of choosing your polish colors and not having to invest $10 in rub on decals. have fun with it! Very cool! I have to try this someday. I need to try ASAP! Love the tutorial and this was really simple! Just a matter of steady hands... Thanks for the tutorial! Was really helpful when I gave this a try today afternoon. Thanks for the tutorial! I gave it a try today afternoon and am pleased with the results! This is a great tutorial. I'll have to try it on my toes (not super confident in my left hand applying on my right). Thanks!